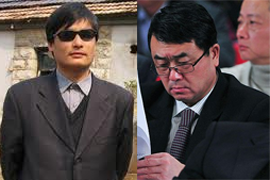 Stirring Trouble Internationally: US Diplomatic Missions Attract Dissidents In China. Washington Would Prefer They Didn’t . US Diplomatic Missions Attract Dissidents In China. Washington Would Prefer They Didn’t . Today’s post includes two gentlemen from China an announcement about the next meeting and the hostess for the event is Hilary Clinton. The event will be held at the US Embassy in China, and those who have been invited to this post can attend. The point of this post is to explore fashion. Choosing the right dress for occasions like this can be quite difficult, when in Rome the best thing to do, is wear the right dress, in China the correct satire for women is a Geisha outfit. Here are a few things you may need to know about fashion and satire in China. Mrs Hilary Clinton get doled up to meet the top brass in China this week. Wang Chung a top cop from China and Hilary Clinton US rep meet up in the Middle Kingdom. American influence on China is political and about human rights and finding middle ground as each side shares notes about economic goals to be achieved this year. The US Embassy in China and Hilary Clinton meetup in the Chinese Capital. Meetup and discuss about justice news from Washington. The consulates in Lhasa, Urmqi and Xinjang are all welcome to come along. Here are the details to register for the event. If you turn up on the doorstep late make sure you either have a good excuse or you’re wearing the right satire. In the image to the right you can see Hilary Clinton dressed in this lovely black Geisha dress. The Geisha dress photography photoshop was designed to articulate what could be what’s worn at the consulate n the eighteenth of May 2012.